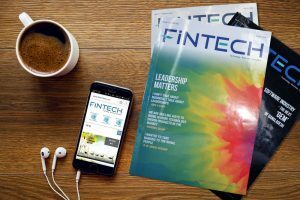 FiNTECH is essentially a monthly business magazine, aiming to demystify tech for an audience comprising of professionals from banking and finance industry. We however want to call it more than a ‘magazine’ as we just don’t wish to be the primary record-keeper but also the trendsetter of the financial technology revolution that is in the offing. In doing so, FiNTECH plans to thrive through both print and digital platforms. We know print has a unique, sensuous appeal, communicating tangible value, and the digital world will have room for quality print magazines for many decades to come. Our premium quality print edition magazine has a limited circulations and the FiNTECH team ensure that it reaches to the tables and coffee tables of all the Chairmen, Board Members, CEOs, MDs, DMDs, CTOs of all the banks, NBFIs, Insurance companies, large tech companies and large local and multinational corporations. Meanwhile, we know that the tech-savvy youths prefer gadgets over the smell of ink and the feel of paper so through the dynamic website and mobile app of FiINTECH, we aim to be on the desktop, laptop and smartphones of the millennials who, we believe will be the primary movers of financial technology revolution. It files articles on recent issues and directions in the banking, finance and technology industry from both home and abroad. Aside from the contents produced by our highly competent feature and editorial team, we outsource features and articles from professionals from the relevant fields to add an extra layer of depth in our contents. In print edition, each issue balances inspiring local success stories that readers can learn valuable business lessons from, with reference guide-like articles that offer actionable steps individuals as well as organizations can implement immediately. Local and international experts also weigh-in on pertinent topics, covering a broad range of techno-business issues. In our website, we publish news and updates about banking, finance and technology on a daily basis to keep our readers informed about the latest trend and happenings. FiNTECH with its unique design and style, rich content, luxurious paper, stunning photography— is designed to appeal to all stakeholders of banking finance and tech domain who are constantly in search of excellence. Our sure-to-please Cover Story and the Feature include: exclusive interviews with leading personalities in the industry, Analytics, technology trends, a showcase of Global & Local Events, Write ups of eminent local & global FinTech Professionals etc.